Institute or Newtowne will travel to Dergview or Sport & Leisure Swifts in the fifth round of the Tennent’s Irish Cup. 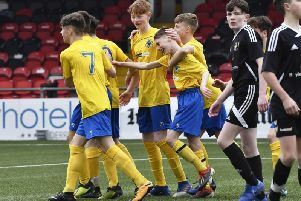 Oxford United Stars are also on the road as they take on Crumlin Star, while Limavady United or Larne will visit Loughgall in the next round. All fifth round ties will take place on Saturday, January 9, 2016.